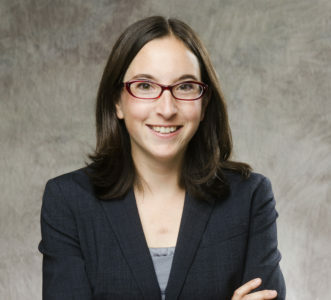 Amy Semet, An Empirical Examination of Agency Statutory Interpretation, 103 Minn. L. Rev. __ (forthcoming 2019), available at SSRN. Inspired by Lisa Bressman and Abbe Gluck’s pioneering empirical study on how congressional staffers approach drafting statutes, I spent months in 2013 surveying federal agency rule drafters on how they interpret statutes and draft regulations. Among its many methodological limitations, my study focused exclusively on agency rulemaking. Agencies, of course, interpret statutes in a variety of other regulatory contexts, including adjudication, enforcement, guidance, permitting, and monitoring—just to name a few. Indeed, it’s fair to say that most agency statutory interpretation takes place outside of the rulemaking context. First, as a preliminary matter, whereas Semet read more than 7,000 NLRB decisions, very few actually dealt with statutory interpretation. In fact, the number is 121 majority decisions, or 2% of all decisions in the dataset. Semet explains (Pp. 26-28) why this figure might be underinclusive. Even if somewhat underinclusive, however, it may come as a surprise to many administrative law scholars—though probably not many regulatory lawyers—that only a small part of the agency’s adjudicative docket actually implicates novel questions of statutory interpretation. The bulk of the NLRB’s docket merely applies (or at least purports to apply) existing precedent to new facts and circumstances. Second, the NLRB is a textualist interpreter, but perhaps in name only. Of the 121 majority decisions implicating statutory interpretation, the NLRB engages in some sort of textualist analysis roughly two thirds of the time. Yet, Semet codes (P.32) the statutory text as the “most determinative factor” in less than one in ten cases (8%). Indeed, the NLRB uses non-textualist methods about 95% of the time, including reference to legislative history in roughly two in five majority decisions. Similarly, the NLRB cites policy or practical considerations in 90% of the majority decisions. These findings are consistent with the growing scholarly call for federal agencies to engage in more purposivist statutory interpretation than their judicial peers. One may expect, moreover, that Republican and Democrat NLRB members rely more on textualism and purposivism, respectively, than their political counterparts. Semet finds (Pp. 33-34) some descriptive evidence of this, but none of it is statistically significant. Third, precedent matters. When I teach 1L legislation and regulation, I often focus somewhat myopically on the distinction between textualism and purposivism and the various tools of statutory interpretation utilized by either/both interpretive schools. Within that interpretation toolbox, I seldom focus on precedent. Yet precedent drives so much of statutory interpretation. That is certainly true at the NLRB. Semet codes (Pp. 32-33) nine in ten NLRB majority decisions as viewing case law as “determinative or influential in the outcome.” Most of the time the NLRB cites its prior decisions, but three in four NLRB majority decisions also cite at least one Supreme Court decision that influences the agency’s interpretation. In one in ten cases, the NLRB “mirrors” a circuit court’s statutory interpretation. Fourth, legislative history is a double-edged sword. A regular textualist criticism of the use of legislative history is that it encourages the interpreter to advance a broader interpretation of the statute than the plain text would allow. That observation is not without force. But, as Semet finds (Pp. 47-48), legislative history can also narrow the scope of the statutory text. Indeed, in most of the cases where the NLRB relied on legislative history, it did so to more narrowly interpret the statute. Finally, Republicans and Democrats do not usually agree. Although statutory-interpretation cases make up less than 2% of Semet’s database, when a case does involve statutory interpretation, it usually sparks a dissent—oftentimes a very long dissent. In about three in four NLRB statutory-interpretation cases (77%), the majority decision is accompanied by a dissent. Indeed, Semet finds (P.56) the rate of dissenting has increased from 76% in the Clinton Administration to nearly 90% in the Bush 43 and Obama Administrations. Semet exhaustively details (Pp. 56-65) how the interpretive approaches differ in these various “dueling” opinions, and that section of the article (Part II.D) is definitely worth a close read. What should we make of these findings? Semet is rightly cautious about drawing broader conclusions about agency statutory interpretation from her study. After all, while this dataset is impressive, it sheds light on only one agency adjudicative system, and a multi-member commission at that. Much more empirical work needs to be done to understand how agencies approach statutory interpretation in their regulatory activities. That said, Semet’s study is an important contribution to this literature and has broad implications for administrative law and regulatory practice. Understanding how federal agencies interpret statutes is critical for, among other things, assessing the principal-agent relationship between Congress and agencies and informing how courts should subsequently review such agency statutory interpretations. I look forward to reading more from this promising new voice in our field. Fun Fact: Semet was one of two research assistants who worked on the Bressman-Gluck study, assisting with data organization and statistical analysis of the survey responses from congressional staffers. 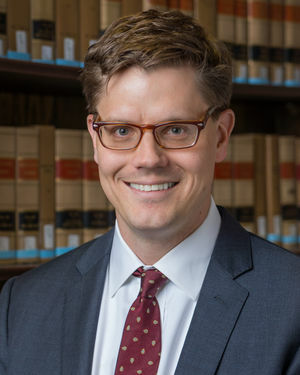 Cite as: Christopher Walker, Looking Inside Multi-Member Agency Statutory Interpretation, JOTWELL (March 1, 2019) (reviewing Amy Semet, An Empirical Examination of Agency Statutory Interpretation, 103 Minn. L. Rev. __ (forthcoming 2019), available at SSRN), https://adlaw.jotwell.com/looking-inside-multi-member-agency-statutory-interpretation/. Kent H. Barnett, Some Kind of Hearing Officer, 94 Wash. L. Rev. __ (forthcoming 2019), available at SSRN. When Congress enacted the Administrative Procedure Act (APA) in 1946, it expected that what we now call Administrative Law Judges (ALJs) would preside over most federal agency evidentiary hearings. Over time, however, the number of so-called “non-ALJ” adjudicators has ballooned. As a result, non-ALJ adjudicators vastly outnumber ALJs today by a ratio of about 5:1. Yet despite the prominent role currently played by non-ALJs, very little is known about them. In a forthcoming article titled Some Kind of Hearing Officer, Professor Kent Barnett seeks to change that. Professor Barnett’s article does three important things. First, it begins by describing how existing due process jurisprudence has little to say about impartiality in the adjudicatory arena, leaving the task of designing optimal process largely in Congress’s hands. When Congress enacted the APA in 1946, it spelled out a fairly detailed scheme to promote impartiality in the context of formal adjudicatory hearings conducted by ALJs. For example, the APA makes clear that ALJs cannot engage in prosecutorial or investigative functions. In addition, the APA generally prohibits ALJs from engaging in ex parte communications. Yet when it comes to non-ALJs, Congress did not set forth similar constraints. The end result, as Professor Barnett points out, is that Congress effectively has delegated the task of determining optimal process in informal adjudications—and, more specifically, ensuring the impartiality of adjudicators—to individual agencies. And, as one might imagine, agencies have come up with all sorts of different ways of approaching the issue of impartiality in informal adjudications. This leads to the second important contribution that Professor Barnett makes in his forthcoming article: Professor Barnett reports some key findings of a detailed survey that he and other researchers sent to 64 federal departments, agencies, and subcomponents within them while working as consultants for the Administrative Conference of the United States (ACUS). The findings shed significant light on how different agencies have approached the question of non-ALJ impartiality. Among other things, the findings demonstrate that agencies often do not consider subject-matter expertise when hiring non-ALJ adjudicators. In addition, more than 40 percent of non-ALJ adjudicators have no required separation of functions. Furthermore, a large proportion of non-ALJ types are subject to performance reviews, and of those non-ALJ types who are subject to performance reviews, more than 70 percent are eligible for bonuses. These and the many other findings that Barnett reports are important because, as a historical matter, little data has been collected on non-ALJ adjudicators. Barnett’s work, in other words, begins to pull the cover back from the administrative state’s previously hidden judiciary. Third, after reporting his findings about non-ALJs, Professor Barnett argues that much more data is needed. To this end, he proposes the use of a uniform, one-page agency disclosure form. His proposed disclosure form—which would be answered by federal agencies and then made publicly available—would provide Congress, the Executive Branch, and litigants with key information about non-ALJs’ impartiality protections. The disclosure form, for example, would ask agencies to disclose, among other things: whether hiring qualifications exist for the presiding officer; whether the presiding officer is prohibited from reporting to an individual with enforcement duties; and whether the presiding official can be paid performance bonuses by the agency. According to Professor Barnett, such a disclosure form might uncover various impartiality gaps and thereby prompt agencies—or Congress—to address gaps that emerge. In addition, Professor Barnett argues that his proposed disclosure regime could help litigants to better understand the process to which they are subject, thereby recognizing their dignitary interests and improving public trust in the administrative system. I am much less convinced than Professor Barnett is that disclosing impartiality gaps will do much to help recognize litigants’ dignitary interests or improve public trust. Given that litigants may well have no choice about the process to which their claims are subjected, it seems unlikely that litigants’ trust in the system will increase if they are provided with disclosure forms that document impartiality gaps. Nonetheless, I agree with Professor Barnett that disclosure would be a very good thing to the extent that it might nudge—or even perhaps “shame,” as Barnett puts it—Congress and agencies to respond to significant impartiality gaps that are revealed. It is, of course, quite possible that neither agencies nor Congress will take action to ensure more optimal process, even if Professor Barnett’s recommended disclosure system is implemented and even if it reveals significant impartiality gaps. But that’s a problem for a different day. For now, I agree with Professor Barnett that gathering more information—and continuing to try to shed more light on the hidden administrative judiciary—would be a good first step. Cite as: Kathryn Watts, Uncovering the Hidden Administrative Judiciary, JOTWELL (January 28, 2019) (reviewing Kent H. Barnett, Some Kind of Hearing Officer, 94 Wash. L. Rev. __ (forthcoming 2019), available at SSRN), https://adlaw.jotwell.com/uncovering-the-hidden-administrative-judiciary/. Miriam Seifter, Understanding State Agency Independence, 117 Mich. L. Rev. __ (forthcoming 2018), available at SSRN. In recent decades, our field of administrative law has taken an empirical turn, at least in part. We now know more about on-the-ground practices of federal agencies and their treatment in the federal courts, for example. Our focus, however, has been relentlessly on the federal level. To the extent that scholars look outside the federal government, to states or to private entities, for instance, they almost always examine the interaction with federal entities. Miriam Seifter’s work should divert your attention to the states—both to learn about state practices and to consider what those practices might tell us about federal institutions. In her latest piece, Understanding State Agency Independence, Seifter examines agency independence at the state level and uses that examination to contribute a new perspective on agency independence at the federal level. It would be easy to get lost in the details of state practices, but Seifter organizes the piece coherently to make important broader points (while not losing rich institutional details). Seifter first recaps debates about federal agency independence before looking at the constitutional origins of state agency independence, then moving onto state courts’ treatment of agency independence, turning next to the contestation of independence (and shifting agency designs) outside the courts, and concluding by thinking about lessons for federal administrative law from the state practices she has studied. Seifter then pivots to these constitutional agencies, where the state’s citizens do not elect their leaders and where the constitutional text does not provide for how the top officials are to interact with the governor. In addition, she considers multi-member boards and commissions that are not in states’ constitutions (except, in some instances, as a general class). Seifter, however, does not simply show the complexity of state institutions at a particular point. She also demonstrates that agency designs at the state level have often shifted over time. I am less certain of, but quite intrigued by, her claim that the independence of federal agencies “has been a sticky phenomenon,” by contrast. Federal agencies change structure too—for instance, the Post Office in 1971 and some financial agencies after the last financial crisis. These shifts at the federal level, however, do seem different from state legislatures changing agency designs to advance more nakedly partisan goals. Indeed, in lame duck sessions, several states have worked to change agency independence. (And should we compare the federal system against all the states, or just against an average state?) I look forward to more empirical work assessing Seifter’s provocative (and plausible) claim that state agency structures have been more malleable than federal ones. Seifter makes a number of clever, original, and compelling observations and arguments from the descriptive details she has unearthed. Here are just three that struck me. First, the separate selection (by the legislature or election) of some agency leaders in the states—the unbundled executive—should not be conflated with independence. Separate elections, for example, play a role in, but do not determine, how such agency leaders will interact with the governor. Second, in contrast to the federal courts, state courts in New Mexico (and in other states) have taken a non-binary, non-categorical approach to agency independence. In other words, these courts do not see state entities as being in one of only two buckets (independent and non-independent), and they “do not use the term ‘independent agency’ (or any similar term) to invoke a trans-substantive category.” Third, unlike the federal system where removal is seen as an inherent executive power, governors’ removal power is a matter of positive law. This article has made me rethink federal practices, particularly issues surrounding the removal of agency officials. Seifter shows, first, how some states allow policy disagreements between an official and the governor to constitute cause for firing (which federal case law does not allow) and, second, how many states explicitly make removal decisions unreviewable by the courts. On the first, as she briefly notes, Judge Griffith’s concurrence in the D.C. Circuit’s recent en banc decision on the constitutionality of the Consumer Financial Protection Bureau argues that the for cause standard should be, or is, lower at the federal level than federal case law might suggest. On the second, differences between the states and the federal government on agency independence produce such stark differences in outcome—specifically, in modern times, state officials often get removed for cause by the governor, but federal officials almost never get removed for cause by the president. More broadly, Seifter’s impressive research on state administrative law should make all of us pause in our federal projects, to consider how state practices might shape our analysis. Inspired by her articles, I am currently learning about state practices for filling leadership vacancies on a temporary basis as I wrestle with “actings” and other interim leaders at the federal level. What might the states tell you about your work? Cite as: Anne Joseph O'Connell, A Two-Way Lens on Agency Independence, JOTWELL (January 11, 2019) (reviewing Miriam Seifter, Understanding State Agency Independence, 117 Mich. L. Rev. __ (forthcoming 2018), available at SSRN), https://adlaw.jotwell.com/a-two-way-lens-on-agency-independence/. Aditya Bamzai, Taft, Frankfurter, and the First Presidential For-Cause Removal, 52 U. Rich. L. Rev. 691 (2018). Lots of ink has been spilled over when Congress can give federal officials for-cause protection. One would think that a necessary antecedent to that discussion would be a determination of exactly what for-cause protection entails. What is “inefficiency, neglect of duty, or malfeasance in office”? Yet no one knows; the debate over the permissibility of that restriction proceeds in blissful uncertainty as to its scope. The reason no one knows is that (almost) no President has ever tried to fire someone for specified shortcomings amounting to “cause.” Until reading Professor Bamzai’s article, I would not have included the parenthetical “almost.” In the best-known instances of a president removing an official with for-cause protections—Shurtleff, Myers, Humphrey’s Executor, Wiener—the president did not claim cause existed; he took the position that cause was not necessary. It is often asserted, with only the tiniest of hedges, that no president has ever fired anyone after a hearing and for cause. But it turns out that at the very end of his term President Taft did just that. This article is the engaging account of that overlooked event. Part I sets the scene. Bamzai begins with an overview of very familiar terrain, describing the caselaw on the legal status of independent agencies. Readers engaged enough to be reading the Administrative Law section of Jotwell will find little new here. Bamzai then turns to a useful history of tariffs. Before the income tax, the tariff was entrenched because it was the government’s main source of revenue. But the details were a focus of constant political battles, and administration was difficult. Tariff administration is plagued by two sorts of inescapable challenges. One is classification: the is-a-tomato-a-fruit-or-a-vegetable? or what’s-a-“bound diary”? problem. The other is valuation: to know the amount of tax due, one has to know the value of the item imported, and the importer has every incentive to understate that value. To help resolve such disputes, in 1890 Congress established the Board of General Appraisers. The Board heard appeals from determinations made by individual collectors. Members of the Board were appointed by the president by and with the advice and consent of the Senate, were subject to bi-partisanship requirements, and could “be removed from office at any time by the President for inefficiency, neglect of duty, or malfeasance in office.” The statute did not fix a term of years for the appointment. Part II turns to the actual firing. In August 1912, Taft created a three-member “committee of inquiry” to look into whether the Board members were doing an adequate job. One of its members was none other than Felix Frankfurter, then a twenty-nine-year-old neophyte attorney in the Department of War. Though not specified in its official instructions, the Committee had a particular target, one Thaddeus Sharretts. After months of investigation, a number of what we would today call off-line communications, and a public hearing, the Committee produced a report recommending the removal of Sharretts and Roy Chamberlain. Regarding Sharretts, the concerns were ethical. The Committee found that he had used “his official power to compel personal favors,” requesting that a particular train make a special stop so he could get back to New York City from his weekend place in Maryland, perhaps for a quid pro quo. (This is another aspect of this story with contemporary resonance.) In addition, Sharretts seemed to have had made rulings that would be precedentially useful to his son, who practiced before the Board. On March 3, Taft wrote to each, dismissing Sharretts for “malfeasance in office” and Chamberlain for “neglect of duty and inefficiency.” The next day, he left office and Woodrow Wilson became president. Neither ex-Board Member sued; President Wilson did not revisit the matter; and that was that. Part III considers the aftermath of these little-known events and some lessons. One of the best parts of documentaries or films “based on true events” is the “where are they now?” screens at the conclusion. They certainly would be if this were filmed. William Howard Taft becomes Chief Justice and authors Myers, the single strongest judicial statement of presidential removal authority. Felix Frankfurter seems to head in the other direction—a civil service enthusiast, he goes on to write Wiener. The fate of Sharretts and Chamberlain is not revealed (though Wikipedia reports that the latter concluded his days as a grocer—a calling for which one hopes he did have a “natural aptitude”—in Bradford, PA). And the Board of General Appraisers? It goes on to greater glory as the Court of International Trade. With regard to process, it is notable that Sharretts and Chamberlain were provided relatively full procedures, including a hearing. But, again, we do not know if this was perceived as legally required. Moreover, given the enormous doctrinal developments in the intervening century—to put it anachronistically, Sharretts and Chamberlain had a property interest in their employment because of the for-cause protection, but due process was provided, as per Mathews and Loudermill—what people thought about process a century ago is not that important. In any event, Bamzai’s article is enjoyable and eye-opening. And, as with any good work of history, the whole story does make one think of William Faulkner. Cite as: Michael E Herz, Plus Ça Change: A Century-Old Removal For Cause, JOTWELL (December 14, 2018) (reviewing Aditya Bamzai, Taft, Frankfurter, and the First Presidential For-Cause Removal, 52 U. Rich. L. Rev. 691 (2018)), https://adlaw.jotwell.com/plus-a-change-a-century-old-removal-for-cause/. Rory Van Loo, Regulatory Monitors, __ Colum. L. Rev. __ (forthcoming 2019), available at SSRN. One basic tension in administrative law is the combination in one entity of the various functions in government otherwise thought better divided: making laws, prosecuting suspected violations of those laws, and adjudicating whether the violations occurred. This mixed-function design leads to heightened concerns about accountability and oversight of agencies’ exercise of delegated authority. Various administrative law responses to these concerns are familiar. For example, for formal agency proceedings, Congress limited agency personnel communications and conflicts in the Administrative Procedure Act (APA) so as to ensure the “separation of functions” within an agency. More generally, public participation, transparency, and judicial review are mechanisms thought to constrain agencies from overreach. But in his forthcoming article, Regulatory Monitors, Professor Rory Van Loo paints a striking picture of an underexamined group of agency actors who can de facto exercise all three kinds of agency power all while largely being exempted from APA constraints. His account of these regulatory monitors is made all the more fascinating by the methodology of his research, which captured the results of agency data, examination of public records, and interviews across nineteen large regulatory agencies. This sort of on-the-ground, trans-substantive look at the work agencies actually do is an exciting trend in administrative law scholarship (and one that I myself have found fruitful in examining how businesses and individuals seeking records about themselves invoke agency FOIA processes). This example is no exception: Van Loo’s account of regulatory monitors is powerful precisely because it complicates our understanding of agency power and suggests accountability gaps worth further exploration. As for their tripartite power, monitors, who Van Loo defines as those “whose core power is to regularly obtain non-public information from businesses outside of the legal investigatory process,” are routinely empowered to engage in actions that go far beyond information gathering. On the prosecutorial and adjudication side, they can make decisions that result in a less formal agency sanction such as issuing a “noncompliance” notification or “warning letter.” In a majority of large regulatory agencies, they can block or suspend certain business activity. At some agencies they can investigate suspected violations of the law and even set fines or negotiate settlements. These are particularly significant exercises of power when you realize that the vast majority of suspected regulatory violations are resolved through these less formal processes. In this way, Van Loo’s piece resonates with valuable recent studies, such as Nick Parillo’s excellent research on behalf of ACUS, exploring how and why regulated parties comply even with informal or technically nonbinding agency action. Maybe the most interesting finding to me was Van Loo’s portrait of regulatory monitors’ lawmaking function. Among other mechanisms, Van Loo describes monitors’ creation of agency common law through the precedent and patterns evidenced in inspection reports, warning letters, and other types of monitoring documentation. In the context of USDA inspections of entities regulated under the Animal Welfare Act, I am litigating a case pro bono in which I argue, among other things, that inspection reports are agency “orders” required to be proactively disclosed under FOIA’s reading room provision for exactly this reason: they form precedent on which the agency and private parties rely, and have real consequences for regulated entities. Van Loo’s government-wide look at the practice confirmed my own view that these records are of much greater importance than we often acknowledge. One of the article’s other immensely fascinating aspects is the intersection of monitoring and government transparency. Van Loo compellingly argues that given the scope of power that regulatory monitors hold, we should be thinking distinctly about the kinds of accountability mechanisms that would best watch the watchdogs, to use a familiar phrase. Transparency is his very first and, I think, most powerful suggestion. While recognizing competing interests for which any increased transparency requirements should account, Van Loo argues that greater transparency over individual monitoring activities—such as routine disclosure of the results of inspections—would improve accountability and understanding of these important agency functions. Moreover, increased transparency over violations found through monitoring can itself be a soft form of inducing increased compliance with the law—Van Loo separately notes the “shaming” function that monitoring can provide. While these are my favorite aspects of the article, there is a lot more to learn from Van Loo’s very rich inquiry. I suspect that regulatory monitors will become a larger part of the administrative law conversation as a result of his terrific piece. Cite as: Margaret Kwoka, The Power of the Watchful Eye, JOTWELL (November 30, 2018) (reviewing Rory Van Loo, Regulatory Monitors, __ Colum. L. Rev. __ (forthcoming 2019), available at SSRN), https://adlaw.jotwell.com/the-power-of-the-watchful-eye/. Jennifer Nou & Edward H. Stiglitz, Regulatory Bundling, 128 Yale L.J. __ (forthcoming 2019), available at SSRN. Schemes for regulatory reform have taken many different tacks: improving cost-benefit analysis, preventing interest-group capture of the regulatory process, enhancing public participation in rulemaking, and myriad other ideas. To some, the most alluring idea for reform is apparently that, whatever else happens, there should at a minimum be less regulation—where “less” is measured simply by counting up the number of regulations and trying to reduce that total. That notion has now become a “cornerstone” of federal deregulatory policy. Under President Trump’s Executive Order 13771, agencies “shall identify at least two existing regulations to be repealed” for each new regulation that they propose or promulgate. The “two-for-one” Order is the business end of a broader critique that there is “too much law”; though that idea has modern currency, it goes back at least as far as Sir Thomas More, who half a millennium ago imagined Utopia as an island of “but few laws”—and no meddlesome lawyers. Will this Order bring us closer to that Utopia? Professors Nou and Stiglitz begin their account by offering an empirical case that, for some time now, agencies have been increasingly bundling rules that address different subjects. To measure regulatory bundling, they refer to the list of subjects that accompanies each proposed or final rule. Agencies are required to include such a list when they publish a rule in the Federal Register, and they draw the listed subjects from a standardized set of terms in a government thesaurus. So, for example, the Obama Administration’s Clean Power Plan rule listed the subjects “environmental protection,” “air pollution control,” “administrative practice and procedure,” “intergovernmental relations,” and “reporting and recordkeeping requirements.” (Pp. 9-10.) The authors therefore treat that rule as addressing five subjects. This may seem an odd way to measure bundling. For instance, as an example of regulatory bundling, the authors cite an OSHA rule that regulated 428 air contaminants in one go. (P. 2.) That rule listed five subjects, not 428—“air contaminants, occupational safety and health, permissible exposure limits, health, risk assessment” (see 54 Fed. Reg. 2332-01, 2920 (Jan. 19, 1989)). Would that list of subjects have been any different in an OSHA rule that regulated ten air contaminants, or indeed only two? If not, then counting up the number of listed subjects would not distinguish between a highly-bundled rule that addressed 428 contaminants and a less-bundled rule that addressed just ten. With this empirical backdrop in hand, Professors Nou and Stiglitz then move on to explore why agencies bundle. Within an agency, bundling can help to facilitate internal agency compromise, by allowing the addition of “regulatory riders” to win sign-off from internal agency officials, and it can smooth the process of logrolling between multiple agency heads who may each have a say in whether a rule goes forward. (Pp. 19-21.) From the perspective of an agency, they note, bundling can also be efficient, at least to a degree—once an agency has embarked on a rule-making, it may make sense to use that rule to address more subjects, until the point at which adding more subjects produces a “bottleneck” (P. 22) that interferes with other tasks the rulewriters would prefer to address. Professors Nou and Stiglitz advocate no hard prescriptions for reform, but their nuanced assessment of the dynamics of regulatory bundling has set the table for future scholarship. The two-for-one Order calls for less regulation as measured by nothing more than raw numbers of regulations. Despite the deep flaws of that approach, that directive is (at least for now) part of the law of the administrative state, and regulatory bundling will surely be one strategy that agencies will use to obey its command. Professors Nou and Stiglitz’s article closes by highlighting the need for more empirical work to assess the strategic abuses and costs of regulatory bundling, as well as the possibility that bundling may have more “salutary motivations and consequences.” (P. 44.) Perhaps we will then discover whether the two-for-one Order will pave the way to a Utopia of “less” federal regulation, or whether the Order will ultimately prove to be—like the regulatory bundles it incentivizes—more of a mixed bag. Cite as: Mila Sohoni, A Mixed Bag, JOTWELL (November 19, 2018) (reviewing Jennifer Nou & Edward H. Stiglitz, Regulatory Bundling, 128 Yale L.J. __ (forthcoming 2019), available at SSRN), https://adlaw.jotwell.com/a-mixed-bag/. Cristie Ford, Innovation and the State: Finance, Regulation, and Justice (2017). Innovation poses such an “existential challenge” to regulation, Ford argues in Innovation and the State: Finance, Regulation, and Justice, because the world subject to regulatory control is constantly changing. (P. 144.) Technological change, for example, has made hydraulic fracturing economical and led to a shale gas revolution in energy extraction. New, complex mortgage-backed derivatives in securities markets proliferated in the years leading up to the financial crisis. Changes such as these are continually occurring in every economy. Yet in a certain sense, regulation inherently stands still. Regulation operates by fixing words onto the pages of a rulebook. The world is dynamic, while regulation is static. Ford is hardly the first to call attention to regulation’s relatively static nature. Many policymakers, and even more business managers, believe that regulation impedes socially valuable progress. For example, a common argument is that the U.S. Food and Drug Administration’s strict and slow pre-marketing review protocols keep life-saving drugs from helping patients sooner. More generally, the “clunkiness” and rigidity of regulation—such as its well-known problem of one-size-fits-all commands—creates a range of perversities, including increased costs and the locking in of suboptimal business practices. This corrosiveness exists in part because of what legal scholar Gary Marchant has called law’s “pacing problem.” Economic and technological development simply moves much more quickly than legal institutions typically are able to act. We see constantly emerging new lines of businesses—Facebook, Uber, and more—as well as new technologies—genetic engineering, autonomous vehicles, and more. Each of these developments bring the possibility of risks to consumers and the public. But the legal system is slow to respond. Ford’s book helpfully reminds us that a major predicament facing society—and a major intellectual challenge confronting regulatory scholars—derives from the realization that regulation must “operate within a dynamic and uncertain environment.” (P. 140.) What might be the solution to this predicament? 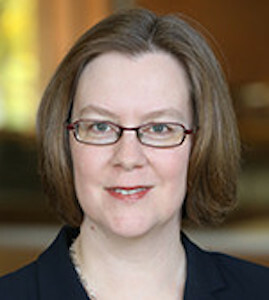 For much of the 1990s and early 2000s, regulatory scholars argued that the innovation predicament could be overcome through a form of regulation that Ford refers to as “flexible regulation.” (Ford uses this common, if not oxymoronic, moniker from that earlier time period, but also explains that flexible regulation sometimes has also traveled under the banner of “responsive regulation, reflexive law, smart regulation, and new governance and experimentalism.” (P. 21.)) Throughout much of Innovation and the State, Ford tells the intellectual history of flexible regulation. She shows how flexible regulation eschews top-down governmental control through bright-line rules, typically disparaged as “command-and-control” regulation. By contrast, flexible regulation prefers to work more from the bottom up, taking advantage of industry’s superior knowledge of its operations and providing greater sensitivity to variation in business contexts. By relying on either broad principles or regulatory performance targets, as well as on softer tools or nudges (such as information disclosure), flexible regulation seeks to shape and guide private behavior rather than to control businesses’ every action through the enforcement of strict, detailed legal commands. In theory, flexible regulation overcomes both the rigidity and corrosiveness associated with traditional regulation. Instead of locking in specific, prescribed behaviors and technologies, a principles- or performance-based regulatory regime gives responsible firms leeway to adapt and find the most cost-effective means of achieving regulatory goals. In this way, flexible regulation is more receptive to “good” innovation. And by its reliance on broad principles or outcomes instead of bright-line rules, flexible regulation can allow government regulators to respond more nimbly to evasiveness and to adapt in the face of new business practices that might not be addressed by highly detailed, prescriptive rules. Flexible regulation in this way is thought to be more protective against “bad” innovation. Ford’s design-agnostic conclusion merits wide consideration. Both bright-line rules and principles-based regulatory designs have their strengths and weaknesses. And neither are immune to challenges posed by innovation. It oversimplifies, but perhaps only somewhat, to say that just as bright-line rules can block both bad and good innovation, flexible regulation can be accommodating to both good and bad innovation. Both the financial crisis and the Volkswagen scandal, each of which extended across national borders, remind us that bad innovation, flouting legitimate regulatory goals, can arise in vastly different regulatory systems. Ford is correct to identify innovation as a daunting challenge confronting any regulatory system. She makes a persuasive claim that, at least as a technical or legal matter, “we simply cannot seem to ‘solve’ the problem of innovation, no matter what flexible, bright-line, or innovation-framing strategy we take.” (P. 47.) But then, if she is right, is there ever any hope for sensible, effective regulation? Ford offers no simple, easy answers—and surely we should be most skeptical if she did. 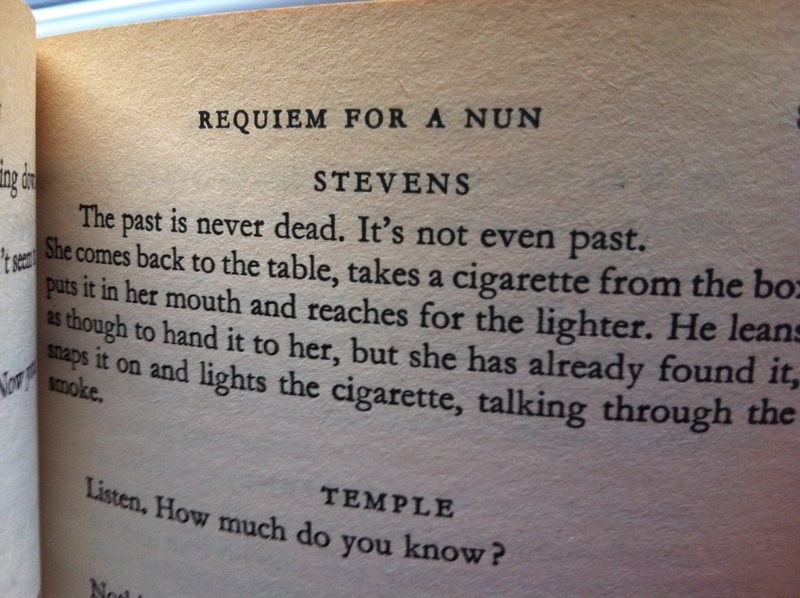 Still, I read her to be both realistic and hopeful. In her telling, “the way forward is…through a new kind of state action.” (P. 128.) That new action, she says, should entail thoughtful, fair, public deliberation and efforts by regulators to seek to identify changes in social and economic circumstances and learn how to respond to them. The operative word in Ford’s ultimate solution comes down to “action.” In looking at the regulatory failings in the lead up to the financial crisis, Ford points not to any particular failure in regulatory instrument design but to the lack of appropriate and adequate action by regulatory officials: “Across jurisdictions, underfunding, under-resourcing, lack and misdirection of information, lack of focus, and lack of regulatory independent-mindedness were the common thread.” (P. 133.) The solution, then, is not so much smart regulation, but smarter regulators. In the end, whatever form regulation itself may take, regulators must also acquire the vision to notice change as it is evolving, possess the early-warning data to anticipate seismic shifts in the larger landscape, and inculcate the independent-mindedness to take appropriate action when needed. If innovation creates regulation’s existential problem, the solution lies in constant regulatory vigilance. 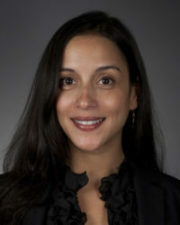 Cite as: Cary Coglianese, Innovation and Regulatory Vigilance, JOTWELL (October 19, 2018) (reviewing Cristie Ford, Innovation and the State: Finance, Regulation, and Justice (2017)), https://adlaw.jotwell.com/innovation-and-regulatory-vigilance/. Evan D. Bernick, Envisioning Administrative Procedure Act Originalism, 70 Admin. L. Rev. __ (forthcoming 2018), available at SSRN. Forty years ago, then-Professor Antonin Scalia published Vermont Yankee: The APA, the D.C. Circuit, and the Supreme Court in the Supreme Court Review. There, the future Justice both chastised the D.C. Circuit for ignoring the text of the APA (Administrative Procedure Act) and offered a “lament” about how faithful judicial adherence to the original public meaning of that foundational statute could not provide a durable framework for administrative governance. Thus, even for skeptics of federal common-lawmaking like Scalia, the original APA has remained in substantial part unloved, or at least often benignly neglected. Evan Bernick, a visiting lecturer at Georgetown Law, and a thoughtful provocative new voice in administrative law, is wondering whether administrative lawyers have given up too fast on the romance. In Envisioning Administrative Procedure Act Originalism, Bernick imagines what it would look like to apply a consistently originalist approach to the APA. He does not offer a complete picture of the results those methods would yield, but pointing to that sketchy spot on the map underlines the importance of his project. Originalists have lavished far less attention on a statute that frames much of modern governance than they have on provisions of the Constitution that are less likely to affect the lives of Americans every day. What APA originalism might unearth should be of interest to originalists and also to non-originalists who see original meaning or intention as an important input in the interpretive process. Bernick does a masterful job explaining why such an inquiry is important and lays the necessary groundwork for further work along these lines. He notes that he is not alone in asking questions about the original law the APA laid down. 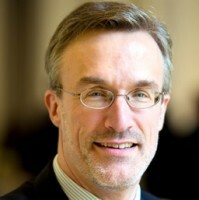 As he catalogues, in recent years, scholars have gone back to the original APA to criticize: Chevron deference and Auer deference; the evisceration of formal rulemaking; judicial additions to informal rulemaking procedures; the marginalization of formal adjudication; deference to administrative action by the military; and liberal approaches to pre-enforcement review of agency action. All the examples of APA originalism above criticize one feature or another of what we generally know of as administrative common law. The insight here is that courts are not free, or at least not well-equipped, to develop norms governing administrative procedure when Congress has already made a decision on the matter. Pre-enforcement review, paper hearings in informal rulemaking, or deference on questions of law may be good, but if the APA prescribes something else, take it up with Congress. Of course, thus far forays into APA originalism (disclosure: mine included) tend to arise when the proponent does not like the doctrinal overlay impeding the original rules Congress chose in 1946. There is a temptation, then, for fair-weathered originalism, drawing on the APA only when something has gone awry at the D.C. Circuit without thinking about broader methodological implications. Bernick recognizes that a cross-cutting APA originalism may require us to take the bitter with the sweet. Thus, Bernick’s important contribution is to lay the theoretical groundwork for these disparate critiques of administrative law doctrine. As a scholar fluent in both constitutional interpretation theory and administrative law, he is well-suited to the task. Bernick offers reasons to believe that APA originalism is both a feasible and a worthwhile endeavor. In many ways, APA originalism is easier than constitutional originalism. The APA is of more recent vintage than most constitutional provisions, it has a robust set of historical materials, and it doesn’t raise questions about the import of state-ratifying conventions. The mists of history shrouding original public meaning are thinner, and the challenges of shared intention are fewer. Drawing on the distinction between interpretation and construction in constitutional interpretation, Bernick further argues that APA originalism neither requires crisp answers to every interpretive question nor precludes administrative common law across the board. All that it requires is that administrative common law in the “construction zone” not contradict original legal norms Congress fixed in place. In essence, sophisticated originalists have sharpened their tools in the more challenging constitutional setting, so we should readily be able to apply them in this simpler, yet equally important domain. And Bernick contends there are good reasons in favor of doing so. The original APA is the actual law Congress passed, legislative supremacy and democratic accountability preclude judicial amendment of those norms, and a closer attention to the original law will bring stability and clarity to administrative law while blunting arguments that administrative law is illegitimate or unlawful. And, I might add, unlike in constitutional interpretation, here enforcement of the original law is easier to change if people do not like it. Although legislation is not easy to pass, loosening the dead hand of the APA does not require a constitutional amendment. Like any good scholar should, Bernick recognizes objections and qualifies his argument accordingly. First, APA originalists must confront the bulk of precedent likely to stand between them and the original APA. As Bernick notes, most originalists have a place for stare decisis in their theories and they have addressed cognate problems in the constitutional context. Nevertheless, working through stare decisis in this context is a fresh task that requires more thinking. At a deeper level, Bernick recognizes that the original APA might turn out to be normatively inferior to the administrative common law that supplanted it. In fact, such common law might be carrying forward the spirit of the original APA to a world that did not exist in 1946. For example, the APA was crafted before anyone thought informal rulemaking and informal adjudication would dominate administrative policymaking. The procedures attending those forms are therefore comparatively sparse (and in the case of informal adjudication, largely non-existent). Going back to barebones policymaking in those instances could shock the system and sap administrative accountability. Those concerned about the legitimacy of the administrative state might pause before giving agencies similar power but less accountability-forcing procedure. One further question for Bernick and others to explore is the impact of post-APA legislation. As Scalia noted in his Vermont Yankee article, when Congress creates new regulatory regimes, the resulting statutory scheme often includes procedural provisions that do not map neatly onto the APA. It can therefore be hard to place agency action under these regimes into APA categories, or to identify how, if at all, the APA default rules are implicated in any given scheme. This suggests that, for at least some category of statutes, the original APA would be less relevant, or at least would allow for more judicial construction. By contrast, Congress rarely legislates on standards of review, suggesting that APA originalism may have more bite there than in the procedural context. That is, unless you think Congress “intends” courts to defer when it legislates against the background of Chevron, or that it wants courts to engage in hard-look review when it enacts a statute in the era of State Farm. These are hard questions and Bernick recognizes them as such. It is about time someone asked them in a smart, systematic fashion, especially since we won’t be able to assess the broader normative stakes until we actually discover what the original APA has to say. In starting us down this path, Bernick has provided a great service to administrative law scholars and jurists. With the rise of originalism in the federal courts in recent decades and given the likelihood that any Justice replacing Anthony Kennedy will increase the originalist quotient on the Supreme Court, Bernick’s scholarly work is hardly “academic” in the pejorative sense of the term. As we ask these questions and evaluate the normative stakes, we might discover, as Bernick notes, that APA originalism leads to results that cut across current debates about the legitimacy of the administrative state. It portends neither an anti-administrativist nirvana nor the triumph of presidential power and bureaucratic expertise. Rather, thoroughgoing APA originalism is at this point a formalist project animated by broader commitments about statutory interpretation, the role of courts, and legislative supremacy. These normative commitments are contestable, but do not map neatly onto standard arguments about the administrative state. Without sustained attention to the APA, it is not yet clear what the original law will say about the powers of courts and agencies in the administrative state. That said, the work of Bernick and others suggest that APA originalism could lead to reduced deference on questions of law, increased discretion to agency procedures, and, while this is a matter of debate, dialed down hard-look review of an agency’s substantive policy choices. But this is just a hypothesis: Bernick thinks hard-look review could survive an originalist inquiry; others are less sure. Similarly, Cass Sunstein, a recent convert to APA originalism, argues that the original meaning of the APA permits Chevron deference, even if it does not require it. Rather than resulting in complete judicial supremacy or stark judicial abnegation in administrative law, APA originalism might maintain places for both judicial and administrative power, while separating those functions more than the pragmatic blending offered by today’s administrative common law. Or it might not. The fact is, we don’t know for sure, and Bernick’s point is that it is worth trying to find out. After all, there might be a law on it. Cite as: Jeffrey Pojanowski, Rediscovering the APA, JOTWELL (September 20, 2018) (reviewing Evan D. Bernick, Envisioning Administrative Procedure Act Originalism, 70 Admin. L. Rev. __ (forthcoming 2018), available at SSRN), https://adlaw.jotwell.com/rediscovering-the-apa/. Samuel L. Bray, Multiple Chancellors: Reforming the National Injunction, 131 Harv. L. Rev. 417 (2017). Amanda Frost, In Defense of Nationwide Injunctions, 93 N.Y.U. L. Rev. __ (forthcoming 2018), available at SSRN. I feel a bit like Gilligan in one of my favorite episodes of Gilligan’s island. The Professor and the Skipper are having an argument over some issue vital to the castaway’s prospects of being rescued from the island. Gilligan is standing in the middle agreeing with everything both parties to the argument say, and finally the two disputants become fed up with Gilligan’s endorsement of diametrically opposing views and they turn on him. In this Jot, I praise two articles that take conflicting views on an issue vital to the future of administrative law, namely, when should federal courts, confronted with unconstitutional or otherwise illegal Executive Branch action, issue nationwide injunctions: Sam Bray’s Multiple Chancellors: Reforming the National Injunction, and Amanda Frost’s In Defense of Nationwide Injunctions. Hopefully, the reader won’t turn on me. Bray’s article, which was reviewed by Professor Kevin Walsh in a pre-publication Jot in the Courts Law section of Jotwell, is deeply skeptical of the nationwide injunction, arguing that federal injunctions should be no broader in scope than necessary to protect the plaintiff from the injury underlying the plaintiff’s standing to seek the injunction in the first place. By contrast, Frost’s article contends that federal courts should be willing to grant nationwide relief not only when necessary to provide plaintiffs with complete relief but also when necessary to protect numerous similarly situated parties who cannot quickly bring their claims to federal court. Both articles attempt to come to terms with the recent proliferation of nationwide injunctions, which federal courts have issued in response to wide-ranging actions taken by the Obama and Trump administrations. As Bray reports, preliminary injunctions issued by individual federal judges shut down the Obama administration’s DAPA (Deferred Action for Parents of Americans) program and the Trump administration’s executive order restricting entry into the United States by people from a group of majority-Muslim countries. Bray’s analysis contains historical, practical, and constitutional elements. Bray’s main historical point is that the nationwide injunction is a recent development that is generally inconsistent with traditional English and American equity practices. History and tradition are important in this context because analysis of the powers of judges sitting in equity tends to be heavily informed by those factors. 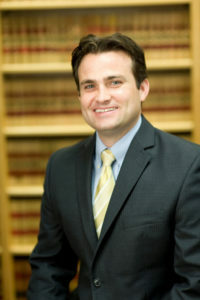 Bray’s main practical points are that in the United States, plaintiffs can easily engage in forum shopping by filing their injunctive suits in districts and circuits populated by judges known to be receptive to their claims and that nationwide injunctions short circuit the percolation of issues in multiple lower courts that is vital for informed and effective Supreme Court review. Bray’s constitutional point is that nationwide injunctions frequently go beyond the scope of the case or controversy that provides the basis for federal court jurisdiction under Article III of the Constitution. For all of these reasons, he concludes that federal courts should not issue nationwide injunctions but rather should provide relief only in favor of the particular plaintiff or plaintiffs in the litigation. Frost builds the analysis that leads her to be much more open to the nationwide injunction on a similar amalgam of practical and constitutional considerations, but she concludes they point in the opposite direction. Frost agrees with Bray that nationwide injunctions come with costs, such as increasing the effects of forum shopping, reducing the percolation of legal issues before the Supreme Court is required to intervene, and raising the possibility of conflicting injunctions based on conflicting doctrinal conclusions. To her, these problems counsel restraint but not abandonment of the nationwide injunction. Frost argues that as a practical matter, nationwide injunctions are often necessary to provide complete relief to plaintiffs and to avoid harm to thousands of similarly situated individuals. She also points out that in some situations, for example, a case concerning the validity of a federal policy with nationwide effects such as an air or water pollution rule, it would be difficult if not impossible to confine an injunction to the scope of a particular plaintiff’s injury. As far as the traditional and constitutional powers of federal equity courts, Frost disagrees with Bray’s conclusions. She finds no rule of equity or constitutional limitation barring courts from issuing injunctions that control the government’s treatment of non-parties. Her answer to Bray’s historical arguments is basically, “things change.” As the federal government’s power expands, courts need to keep pace and augment their remedies to deal with the scope of both legislative and executive illegality. Her focus here is mainly on executive power, which makes sense. She notes also that the rise in the nationwide injunction may coincide with increased unilateral Executive Branch activity, in which major policy initiatives are undertaken without direct legislative support. In an era of congressional gridlock, Presidents of both political parties have found it necessary to act unilaterally, and she views the nationwide injunction as a necessary counter to potentially excessive executive power. My own view is…I find plenty to agree with in both articles. Whether one agrees or disagrees with Bray’s or Frost’s arguments, the way they present them in these articles is worthy of high praise, adding significantly to the understanding of these important legal and policy issues. They are both excellent contributions to what is certain to be an ongoing debate among scholars of administrative law, federal courts, civil procedure, and the substantive fields in which the nationwide injunction continue to play an important role. As an administrative law nut, I wish they both grappled more with the meaning of the APA’s instruction that reviewing courts should “hold unlawful and set aside” unlawful agency action. But that does not affect my bottom line which is—read these articles with an open mind and you won’t be disappointed. Cite as: Jack Beermann, Two Views on the Nationwide Injunction, JOTWELL (August 8, 2018) (reviewing Samuel L. Bray, Multiple Chancellors: Reforming the National Injunction, 131 Harv. L. Rev. 417 (2017); Amanda Frost, In Defense of Nationwide Injunctions, 93 N.Y.U. L. Rev. __ (forthcoming 2018)), http://adlaw.jotwell.com/two-views-on-the…nwide-injunction/.